ScatterCtrl_Demo package does a visual review of ScatterCtrl class features. Demo program contains control samples in different tabs. Scatter controls lets to export in more formats. 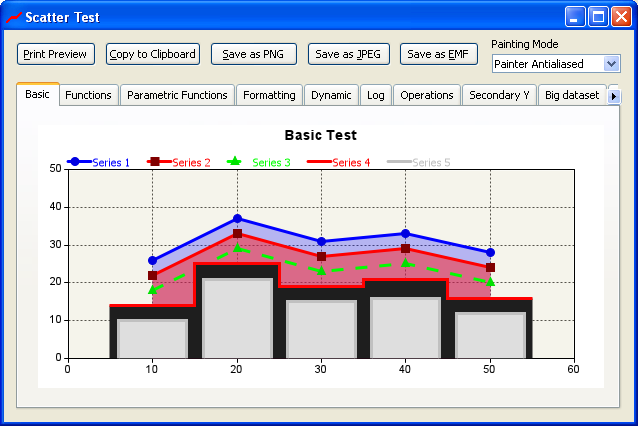 In addition there are different painting modes to let either smoother or faster plots. Scatter lets to show different data series changing various parameters like color, line width, dot style. 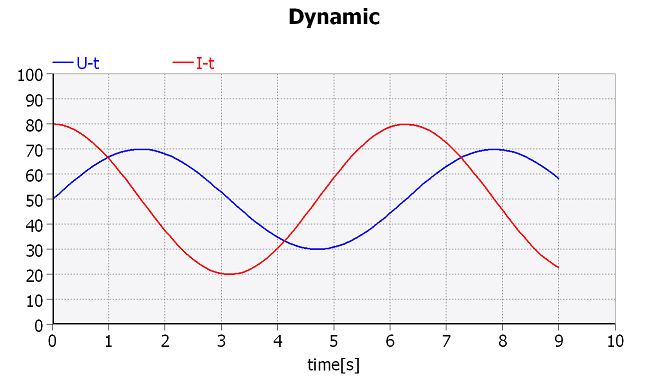 Using PlotFunction() it is possible to directly draw functions instead of just stored data. While PlotFunction() functions just return the vertical axis, PlotParaFunction() functions return the XY coordinates of every point. This options lets full freedom inserting XY series. ScatterDraw/ScatterCtrl lets to insert X and Y labels, XY scaling and range, point format and size and standard or user defined axis labels formating. In addition SetMouseHandling(true) lets to use the mouse to zoom and move the graphs in X axis. ScatterCtrl is not an static control and easily lets to include dynamic series handling. Versatile axis scaling and labeling through cbModifFormatX and cbModifFormatY lets to include not only time and date axis but also logarithmic ones. Series dynamic handling is easy. This demo lets the user to add and remove series. 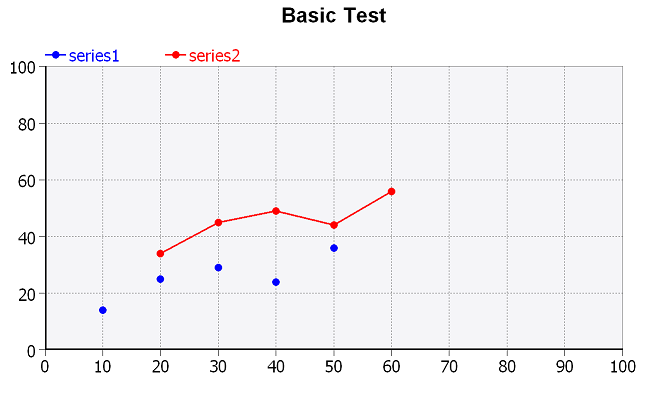 It is possible to add a secondary right side vertical Y axis and scale data series to it. In addition SetMouseHandling(true, true) lets to use the mouse to zoom and move the graphs in X and Y axis. User can set custom graph types and marks.